When many people think about the Church of Latter Day Saints (i.e. the Mormons), they think about people of white European origin. Fifty years ago most people would be right to assume this. Times have changed however. The Mormon Church has seen hardly any growth in Europe or in North America (in this case Canada and the United States). It has however seen phenomenal growth in Africa, Asia and Latin America. That’s right, the church that used to be primarily white European or of white European origin is becoming anything but. Why is the Mormon Church doing so well on three continents noted for either being traditionally Roman Catholic (in the case of Latin America), or traditionally non-christian in the first place (especially East Asia). Part of the answer lies in the fact that the Mormon Church has been successful in helping many of these lands with projects that make peoples’ lives better. 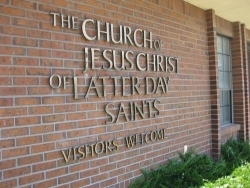 The Mormon Church does not just go into a country or region preaching the Christian faith. The Church of Latter Day Saints provides humanitarian supplies like clothes, school and medical supplies, training classes to help people acquire skills and become self-sufficient, and English classes. During all of this, the Mormon Church teaches the faith and tries to bring communities together that had been torn by strife and poverty. And of course, the Mormon Church sends missionaries all over the world. I remember seeing Mormon missionaries in Taiwan with their crisp clean dress shirts and ties (for the men), and traditional dresses (for the women). They would go in pairs or as a group trying to do “good deeds” and teach about the Bible and the Book of Mormon. Interestingly enough, the Mormon Church has made big strides in attracting immigrant groups in the United States to the faith. Many Asians and Latinos are joining the Mormon Church. In part this is due to the Mormon Church having taken a position in calling for immigration reform in favor of immigrants. Considering the attacks against immigrants today this is a positive step. Regardless who wins the next presidential election, and which direction the United States will go, the Mormon Church is it seems destined to be an institution encompassing all races and ethnic groups.